A North American Islamist charity is partnering with the leader of a Pakistan-based organization who has close ties to a U.S.-designated terrorist group and its leadership, an IPT investigation finds. Hafiz Naeem ur Rehman, head of Al Khidmat Welfare Society, will be assisting Helping Hand for Relief and Development (HHRD) set up a hospital and rehabilitation center in the Pakistani city of Karachi, the Islamic Circle of North America (ICNA) said in an announcement. 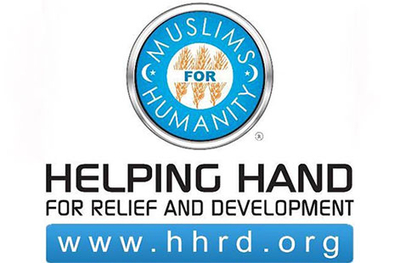 Helping Hand is ICNA's overseas charitable arm. The press release quoted Rehman saying "that their trained and qualified volunteers would assist the US-based charity in serving the ailing humanity in Karachi and entire Pakistan." Rehman is president (Ameer) of the Jamaat-e-Islami (JI)'s Karachi chapter. JI is a leading South Asian Islamic revivalist movement. Al Khidmat Welfare Society is the Karachi chapter of JI's welfare organization. That might help explain ICNA's interest. It is a North American Islamist organization inspired by the JI. Jamaat-e-Islami is a South Asian equivalent of Egypt's Muslim Brotherhood. Like the Brotherhood, JI wants to spread Islam until it conquers the world. JI founder Sayyid Abu 'Ala Maududi wrote that "the objective of the Islamic 'Jihad' is to eliminate the rule of an un-Islamic system and establish in its stead (sic) an Islamic system of state rule." ICNA's educational programs prominently feature Maududi's work. Islam in Focus, which has been a required text for ICNA members, reinforces concepts typical of other Islamist texts. It attacks secularism and tells readers that they should aspire to Islamic governments in Muslim countries and around the world. Jews are accused of being prophet killers, including against the Christian prophet of Jesus, whom the text states "could not tolerate the hypocrisy of the Children of Israel." For believing in the idea of Jesus' crucifixion, Christians are called the "enemies of God." Rehman, the Helping Hand partner, is closely tied to the U.S.-designated Kashmiri terrorist organization, Hizbul Mujahideen (HM) and its leader Syed Salahuddin. In August 2016, Rehman commemorated the "martyrdom" of Kashmiri terrorist Burhan Wani during a news conference with HM commander Salahuddin. Salahuddin has "vowed to block any peaceful resolution to the Kashmir conflict, threatened to train more Kashmiri suicide bombers, and vowed to turn the Kashmir valley 'into a graveyard for Indian forces,'" a State Department press release announcing Salahuddin's designation said. Earlier this year, Rehman "made it clear that Jihad is the only way forward to liberate occupied Jammu and Kashmir," a Hizbul Mujahideen media report on a JI-sponsored Kashmir rally said. Prior to becoming president of JI's Karachi chapter, Rehman served as president of Islami Jamiat-e-Taiba (IJT), JI's student wing. IJT's mission statement is "[t]o seek the pleasure of Allah Almighty by ordering human life in accordance with the principles laid down by Allah and His Massanger (sic) Muhammad (SAW)." IJT's website applauds JI founder Abdul Ala Maududi and Muslim Brotherhood ideologue Hassan al-Banna: "Syed Abul A'ala Maududi was famous scholar, the Compassionate Qur'an and the founder of the Jamaat-i-Islami. Their thought, thinking, and his influence deeply influenced the evolution of the Islamic world. Presentation around the world of Islam is the result of the thinking of Syed Abul all'a Mudodi, Allama Iqbal and Shaykh Hassan al-Bana (the founder of Ikhwan)." Several hundred IJT members have been reported to have joined al-Qaida training camps in Afghanistan's tribal areas. ICNA's magazine, The Message, featured an exclusive interview with Salahuddin in 1997 lauding the terrorist commander as the "undisputed leader of the mujahideen struggling to liberate the territory of Kashmir from brutal Indian occupation. Rehman's hateful diatribe is not just limited to exhorting jihad in Kashmir. At a 2012 JI rally protesting the use of Pakistan as a conduit for NATO supplies into Afghanistan, Rehman called the United States "an enemy of the Quran" and blamed the country for the murder of millions of Muslims in the Islamic world. In August 2014, the JI under Rehman's leadership organized the "Gaza Million March," to "express solidarity with Palestinians." People carried placards saying, "Down with Israel and USA" and JI workers "clad in Hamas army uniform raised Pakistani and Palestinian flags." Rehman thanked rally participants and said, "USA and Israel are our enemies and people of Gaza are our friends." ICNA's patronage of terror-tied JI members is not unprecedented. ICNA has condemned executions of top leaders of Bangladesh's Jamaat-e-Islami (JI) party who were convicted of crimes committed during Bangladesh's 1971 war for independence from Pakistan. A Bangladeshi war crimes tribunal targeted members of a secret killing squad set up by the JI to counter the independence movement. It convicted former ICNA vice president Ashrafuzzman Khan in 2013 on 11 charges related to the murder of 18 intellectuals during the war. Khan and a co-defendant, Chowdury Mueen Uddin, who lives in the United Kingdom, were tried in absentia and sentenced to death.